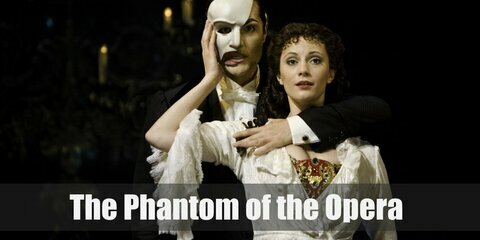 The Phantom wears a dapper costume consisting of a white dress shirt, black vest, black coat, black dress pants, black Oxfords, white gloves, black cape, and a personalized white half-mask. 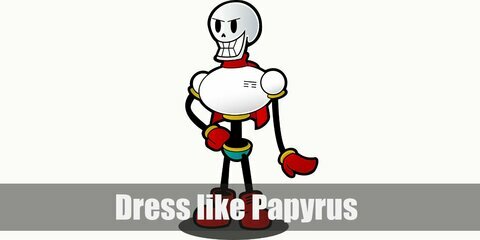 Papyrus has a skeleton body. He wears a white crop top, blue shorts, red boots, and red scarf. 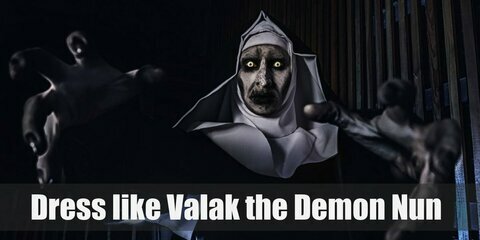 Kayako from the Grudge movies does not have extra arms, eyes, or legs. 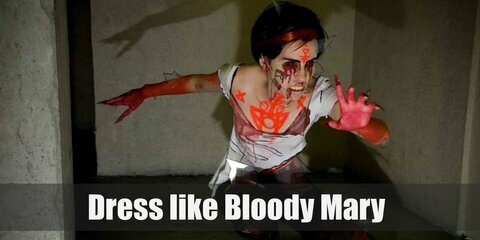 She doesn’t have scaly skin or pointed teeth. 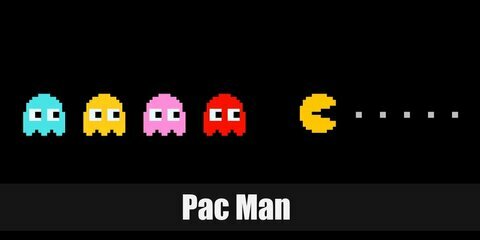 Pac-Man's appearance is a yellow circle, where as all four antagonists share the classic ghost look in different colors: Blinky is a red, Pinky is pink, Inky is blue, and Clyde is orange. 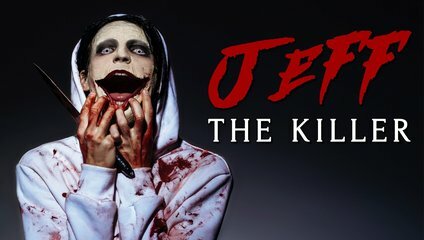 The point of Jeff the Killer’s outfit is not his clothing or shoes, but his incredibly creepy and horrific face. 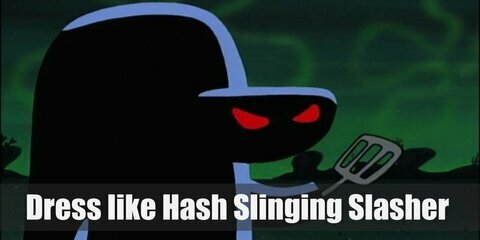 The Hash Slinging Slasher has light green skin with red freckles. He wears a purple hoodie and has a spatula on one of his hands. 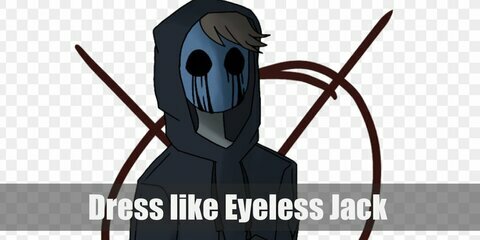 Eyeless Jack is indeed presumed to be eyeless since he has two deep black holes where his eyes should be. 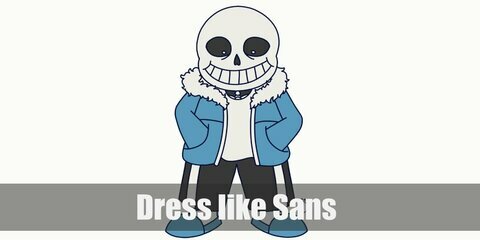 He also wears a dark hoodie and dark pants. 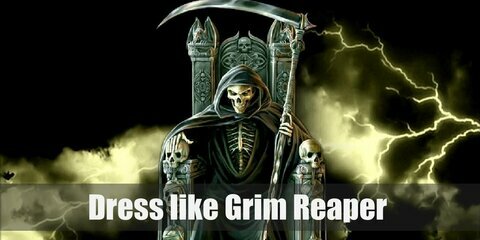 The grim reaper costume should be very dark and scary, but can be also made to look stylish while also being horrific. 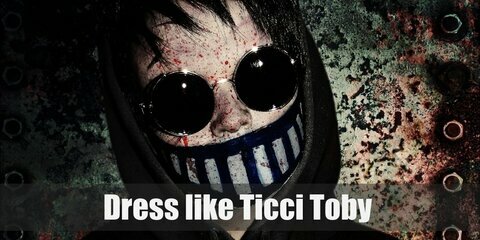 Ticci Toby wears a brown-blue hoodie pullover, a pair of denim pants, a black and white-striped face mask, yellow-tinted goggles, and he brings an axe wherever he goes. Laughing Jack once wore a myriad of colors when he was still a happy friend of Isaac’s. 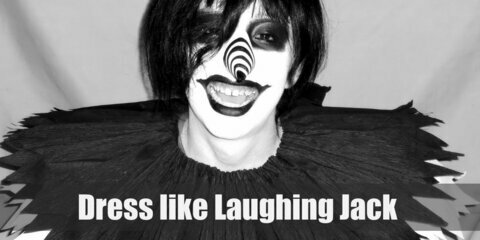 Now Laughing Jack only wears two colors: black and white. Alex prefers wearing a black and white plaid shirt with smart khaki pants. 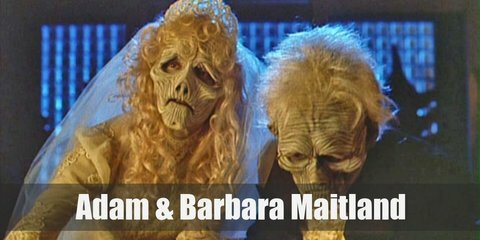 Barbara loves her floral button-down dress. 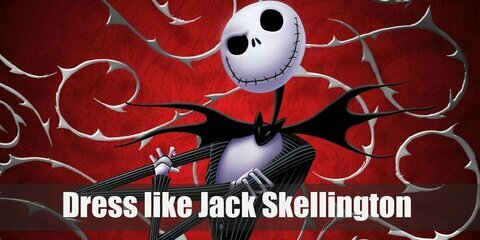 Jack Skellington looks like a skeleton. He wears a white-white striped black suit, a nice, over-the-top batwing bow tie, and black Oxfords. 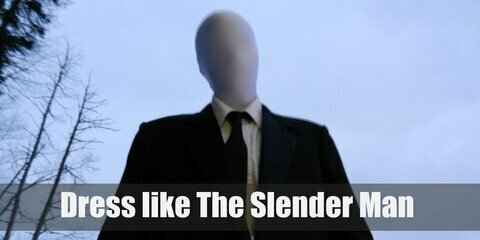 The Slender Man is a very thin man with pale skin and has no facial features. He wears a black suit jacket on top of a white shirt with a black necktie, black pants, and black shoes. 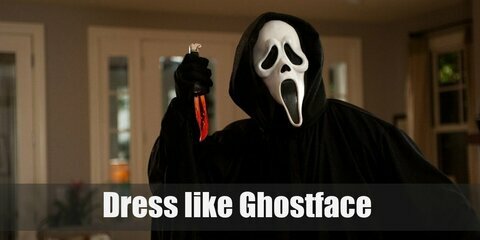 Ghostface costume itself might not seem like much at a first glance, but the scariest thing about this costume is that it truly hides every part of the person underneath, even down to their voice. 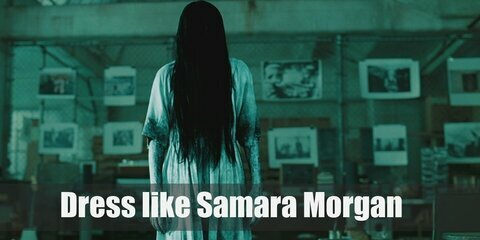 Samara’s clothes are simple yet seeing her in it will give you the chills (and probably nightmares as well). Her long white nightgown portrays a look of innocence while her long black hair covering her face provides a spine-chilling vibe. 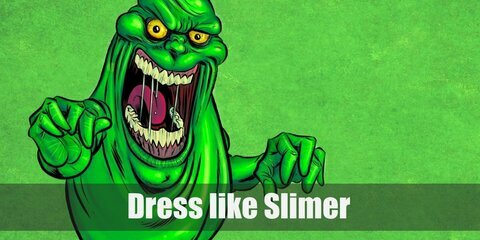 Slimer is made up of 100% Ectoplasm and that’s why he’s the neon bright green color that he is. 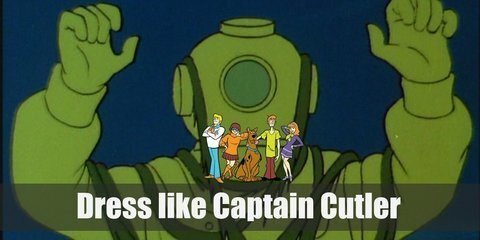 Captain Cutler is a childhood ghost that still looks haunting to this day. He only groans and moans, and wears a very old deep sea diver’s uniform, complete with dangling phosphorous seaweed.